The Prepare My Life Planner is an organized emergency preparedness plan. A great grab and go solution to keep all your important information in one safe place. Not only does it contain a step-by-step plan to help prepare your home and family for an emergency, it is also designed to store and organize your important documents. SKU: 4-0007. Category: Tools & Gear. 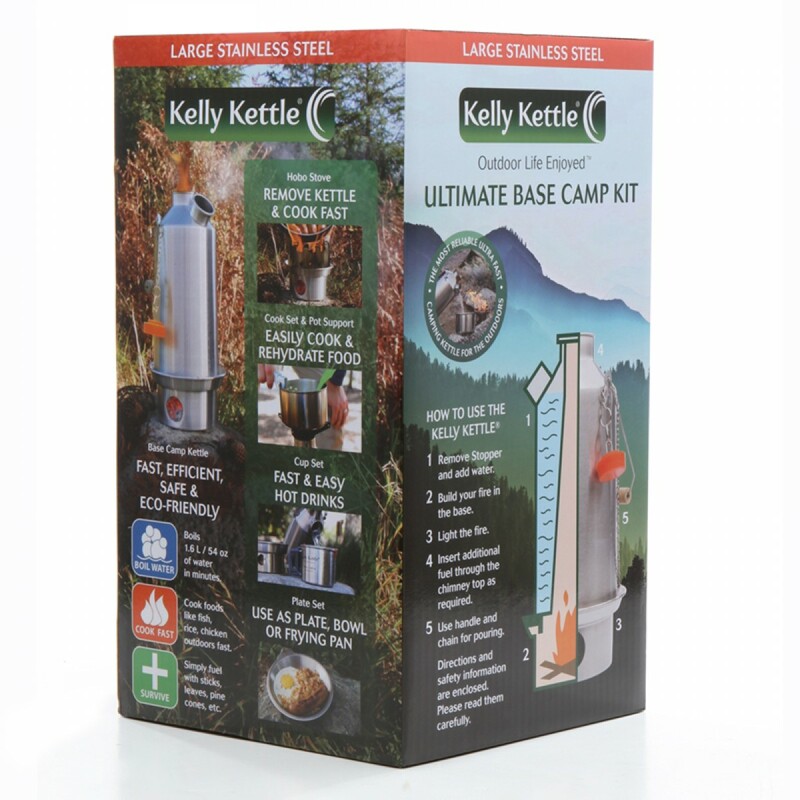 The Base Camp Kelly Kettle boils approximately 6.75 Cups (1.6 Liters or 54 oz) of water at a time and is the size traditionally used by Irish Anglers. Suitable for Base Camps, Car Camping, Scout Camps, Picnics, Hunters, Outfitters Outposts, Emergency Preparedness Kits, Humanitarian Aid Stations, or anyone working in the Forests or the Great Outdoors. The Kelly Kettle works in harsh weather conditions bringing water to boil within a matter of minutes using whatever solid fuel is naturally occuring in the area – sticks, grass, pine cones, bark etc. No need to carry fuel. Ever ! To begin, remove the fire base from the bottom of the kettle and place the base on level ground – flat side down. 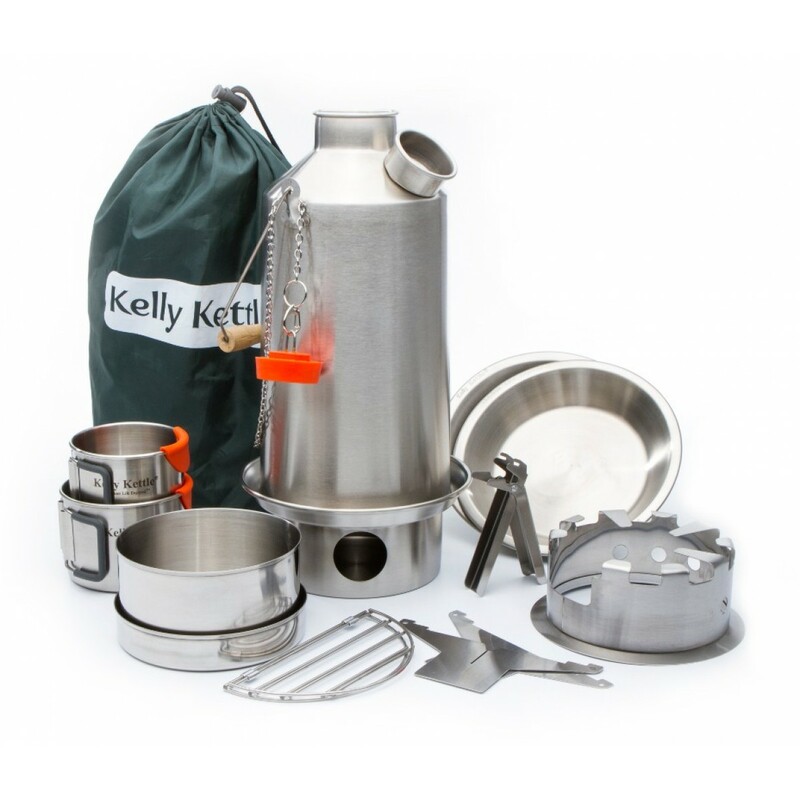 Kelly Kettle users have described their kettles as the “Greatest Invention of all Time”. Note: The fire bases invert partially up into the bottom of our kettles to make the unit as compact as possible for transport and storage. Capacity…. 6.75 Cups, 1.6 Liters, 54 fluid oz. Kelly Kettles have become popular for a variety of reasons with different groups of outdoor enthusiasts. 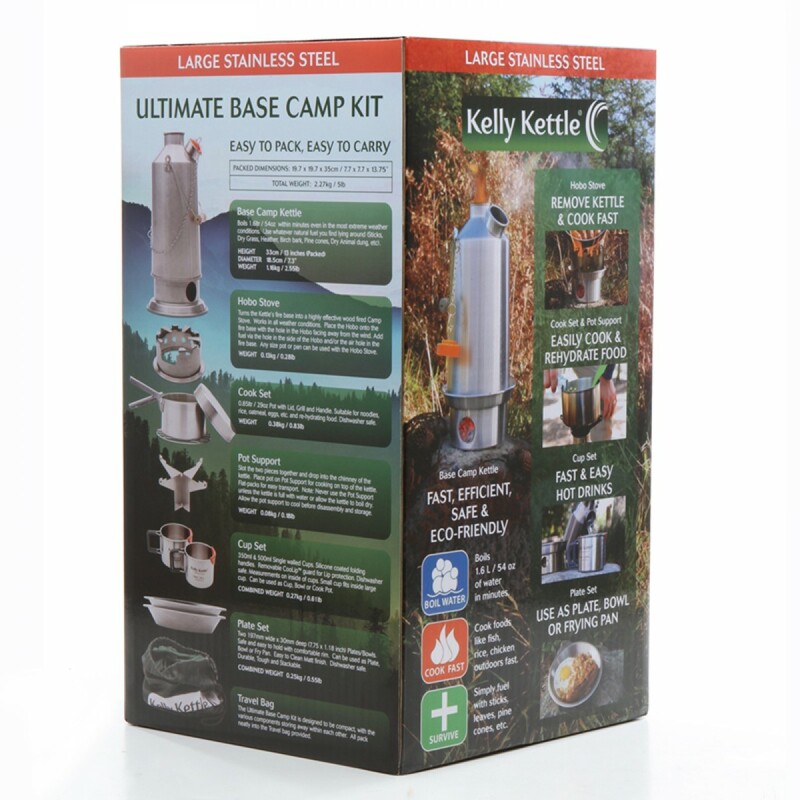 Camping: If you are camping and just want a convenient quick way to heat up your water for hydrating food, a cup of coffee or for personal use, the Base Camp Large Kelly Kettle is great. It will deliver about 7 cups of hot water in just a few minutes. 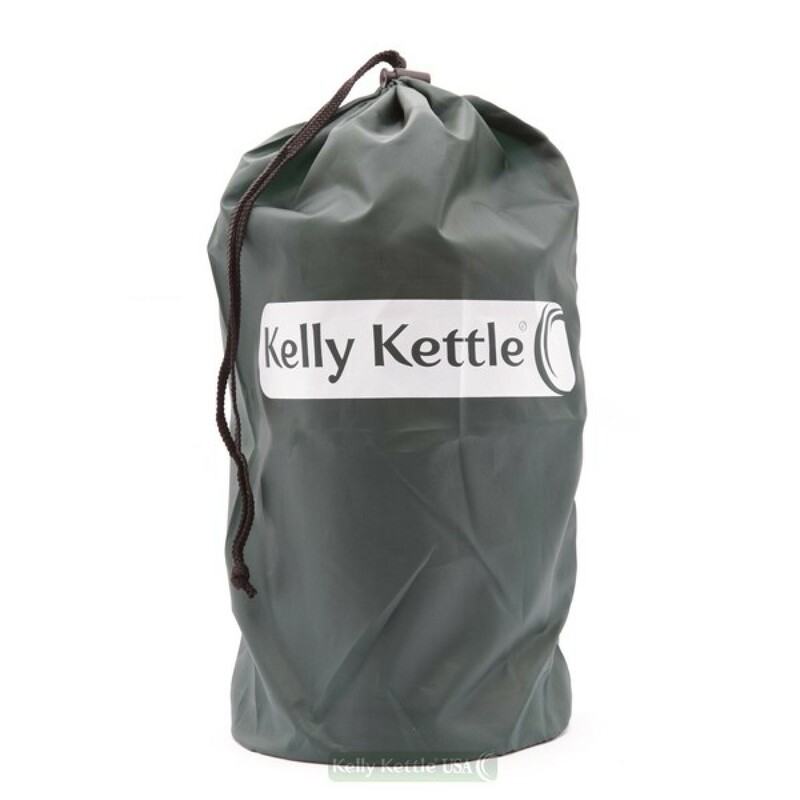 Your camping gear will not be complete without a Kelly Kettle. Emergency Preparedness and Survival Use:The Kelly Kettles are an essential element of any emergency preparedness plan since in an emergency or disaster situation the most important part of survival is being able to obtain pure water. Without access to other types of fuel such as gas or propane, it may be difficult to get pure water. Since the Kelly Kettle uses only natural fuels, in a disaster you most likely will still have access to ample natural fuel in order to boil and purify water for drinking, cooking and personal hygiene.